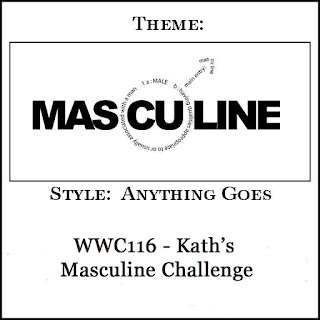 This week Kath is hosting our Masculine "Anything Goes Challenge at the Watercooler Wednesday Challenge. I love anything goes challenges as it affords me the opportunity to share whatever I happen to be working on at the time. With several birthdays coming up for the young people in my life, I made a birthday card for one of my grandsons. For all the challenge details and to share your project, visit the Watercooler Wednesday Challenge by clicking the image below. We'd love to have you join us. You have until Monday, May 1st at 6:00 p.m. Central Time to link your project. Fantastic card Marsha! Love all the colorful ties! Thanks, Mona! My grandson is going to love it. Marsha - Great card for Father's Day. Love all those ties with the cool colors. Thanks, Heather. It would make a cute Father's Day card, wouldn't it. Your "ties" brought a smile to my face Marsha. It totally makes me think of my dad on Father's day. If it wasn't socks it was ties - all different types but still "ties". 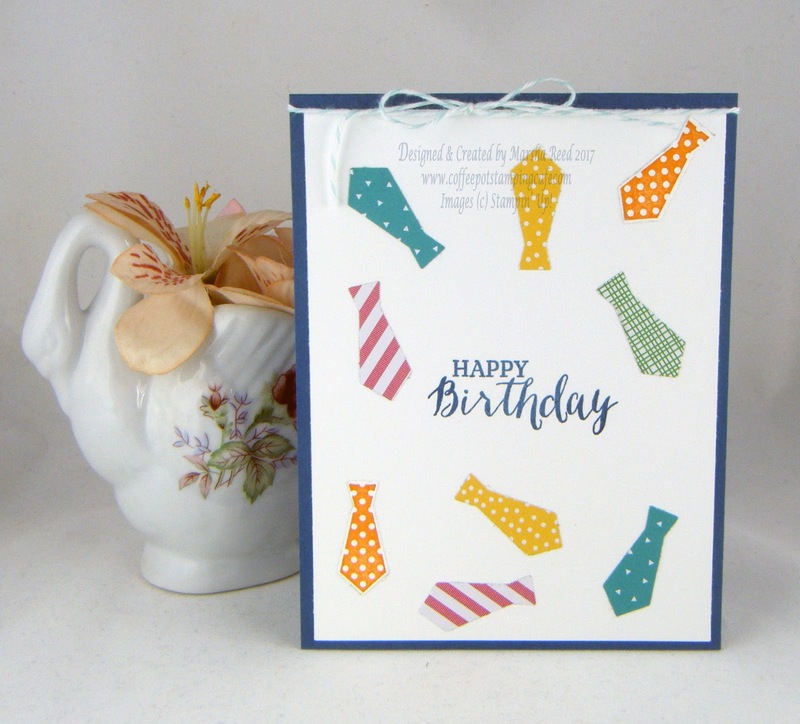 Thanks for sharing your wonderful card. Thanks, Penny! Ties are one thing I remember about my dad, too.